The latest Assam Medical College Recruitment 2018 Notification is announced by Assam Medical College & Hospital, Dibrugarh. The Assam Medical College & Hospital, Dibrugarh invites capable candidates for 44 Cook, Chowkidar, Peon Vacancies. Job Seekers who are interested in Assam Medical College Recruitment 2018 can apply from 19th January 2018 to 2nd February 2018. From here applicants can find Post Wise Vacancy Details, Education Qualification, Application Fee, Selection Process, Age Limit, Salary Details, Important Dates are clearly given in the below section. At the bottom of the page, we attached an official Assam Medical College Recruitment 2018 Notification. For more information refer the notification. Go to the entire section and check the details. Good news for the Assam state people who are looking for new Assam Medical College Recruitment 2018 Notification. Now the Assam Medical College & Hospital, Dibrugarh has circulated a new notice for the talented candidates. The organization is ready to recruit eligible people for 44 Cook, Chowkidar, Peon Vacancies. Already the Assam Medical College & Hospital, Dibrugarh officials are started receiving the application forms in online mode. Interested and willing aspirants can grab this chance and fill the application form. Applying aspirants must pass Class VIII. Those who are suitable for Assam Medical College Recruitment 2018 can enhance this excellent opportunity. In order to apply for Assam Medical College Vacancies 2018 aspirants must know complete information. For the sake of aspirants, we are here to provide the entire Assam Medical College Recruitment 2018 Notification details. Check the details from here or visit the official website of Assam Medical College & Hospital, Dibrugarh. The official website is dmeassam.gov.in. For more details simply scroll down this page and collect the details. 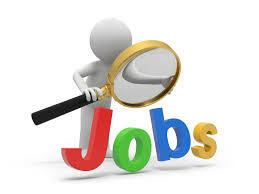 Visit our website SarkariRecruitment.com regularly and check latest Assam Government Job Updates. Newly the Assam Medical College & Hospital, Dibrugarh has issued an employment notification to fill up 44 Cook, Chowkidar, Peon Vacancies. As this is a great opportunity for the candidates who are eagerly waiting for Assam Government Jobs. As per the notification applying aspirants, the minimum age limit is 18 Years and the maximum age limit is 43 Years. The upper age relaxation is based on government norms. After checking the eligibility criteria aspirants who are eligible for Cook, Chowkidar, Peon Vacancies they can utilize this excellent chance. The applied aspirant’s selection process is completely based on Written Exam. Work hard and crack the written exam. Getting a job at Assam Medical College & Hospital is a difficulty. So, all the applicants must prepare well and get a job at Assam Medical College. We suggest all the candidates read the complete information until the end. All the mandatory details are clearly shared in this section. To help the applicants we had provided a direct official notification link in the edge of the page. Click on the below link and check more information. Job Seekers who are interested in Cook, Chowkidar, Peon Vacancies they can apply for Assam Medical College Recruitment 2018 before the closure date that is 2nd February 2018. While coming to application fee aspirants who belong to General category they must pay Rs. 250/- and remaining category people such as OBC/ SC/ ST category candidates must pay Rs. 150/-. Pay the application fee and submit the application form as soon as possible. Aspirants who submit the application form after the last date the Assam Medical College & Hospital, Dibrugarh officials will reject the application forms. Refer the complete Assam Medical College job 2018 details from here. Candidates who clear all the recruitment rounds they will receive Rs. 12000/- to Rs. 37500/- along with Grade Pay Rs 3900/-. Selected candidates will get good remuneration. So, interested and willing aspirants can apply for Assam Medical College Vacancies 2018 before the deadline that is 2nd February 2018. Applicants can easily find complete details through this page. Go through the entire article and find more information. Candidates who completed their Class VIII they are eligible to apply for Assam Medical College Jobs 2018. Candidates minimum age limit is 18 Years and the maximum age limit is 43 Years. The upper age relaxation is based on government norms. The officials are clearly mentioned in the official notification the applied candidates must face Written Exam. After completion of the written exam aspirants who are qualified, they will get a job at Assam Medical College & Hospital. General Category candidates need to pay Rs. 250/-. The OBC/ SC/ ST category people must pay Rs. 150/- as application fee. Selected candidates will receive Rs. 12000/- to Rs. 37500/- along with Grade Pay Rs 3900/-. The Starting Date To Fill The Application Form: 19th January 2018. The Closing Date For Submitting the Application Form: 2nd February 2018. All the interested candidates must visit the official website of Assam Medical College & Hospital, Dibrugarh dmeassam.gov.in. On the Home Page find for Assam Medical College Recruitment 2018 Notification. Now candidates can read the details carefully. After that suitable candidate for Cook, Chowkidar, Peon Vacancies can download the application form. Upload a required documents and once recheck the given information. We hope the given Assam Medical College Recruitment 2018 Details is helpful for the candidates who are willing applying for Assam Medical College Jobs 2018. So, read the complete information and submit the application form before 2nd February 2018. For more updates regarding Assam Medical College Vacancies 2018 stay tuned to this web page. Also, we suggest all the candidates you can easily view written test results on सरकारी रिजल्ट.